Get ready for the greatest mythical and magical event of your life. Meet and pet Stardust, our Mechanical Unicorn Bull. We offer this unique one-of-a-kind experience for any event or party. 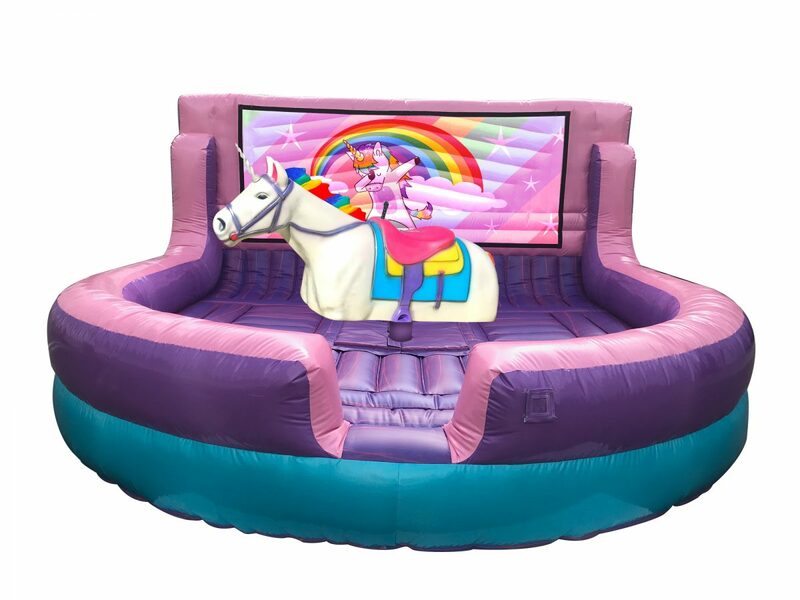 The Mechanical Unicorn Bull Ride is very realistic and looks amazing as it spins and bucks. 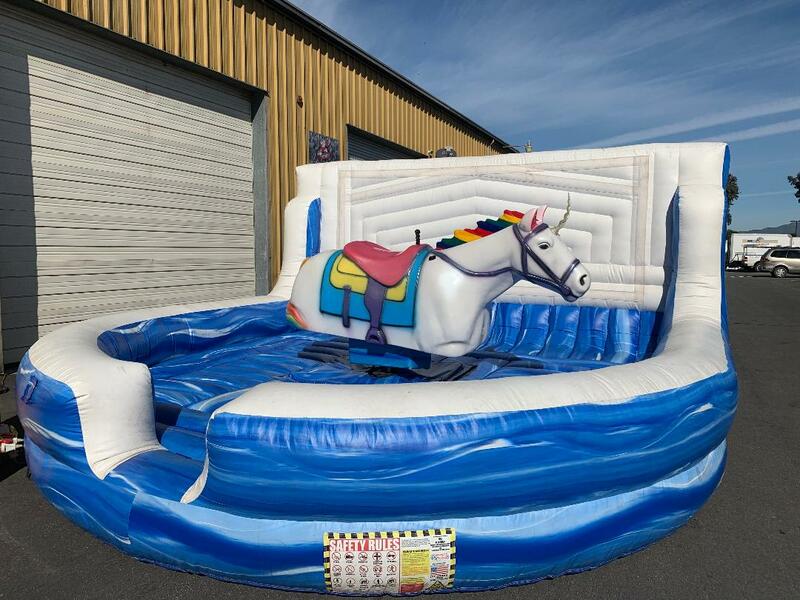 Take a spin on a unicorn that has the ability to buck and spin 360° degrees. 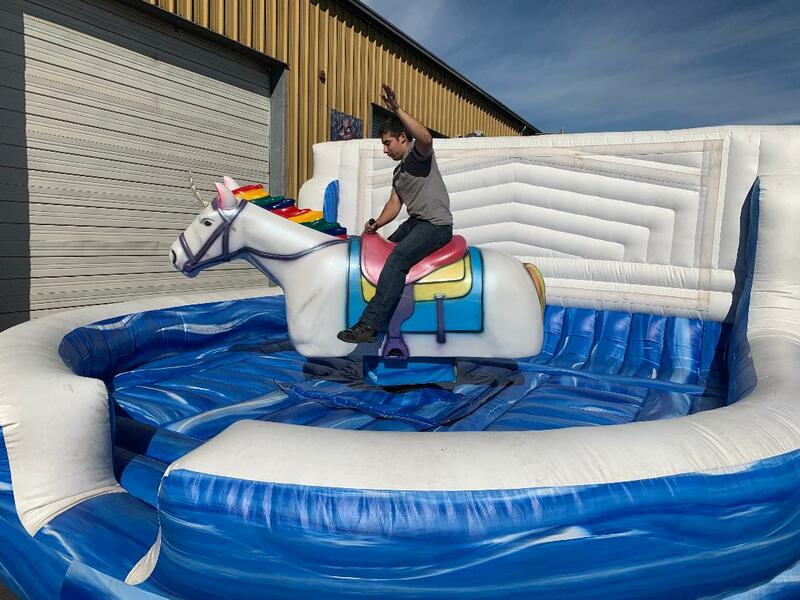 The event operator can operate the unicorn to go slow for pictures and video. Or we can speed up the unicorn for a more experienced rider. All our mechanical rides are well maintained and are a great experience for your guests. 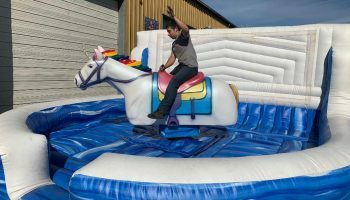 The Mechanical Unicorn Bull Ride would be the perfect fit for your next fund raising event, sweet 16 party, 21st birthday party, corporate event or party. 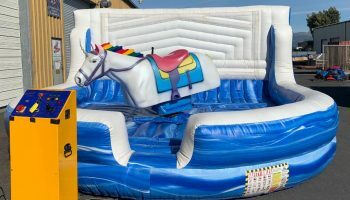 The Mechanical Unicorn is an added attraction to any event and is bound to draw in large crowds of spectators and riders. 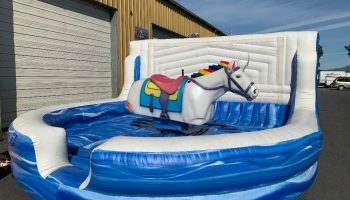 The unicorn has been very popular with event attendees, resulting in pictures, selfies and videos posted on social media. Unicorns are IN right now and we are seeing this colorful creature appear everywhere across the nation! 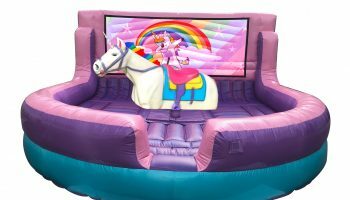 If you want a bucking and spinning Unicorn ride at your next event, then Stardust the unicorn should be your choice. Lets Party delivers all our mechanical rides and attractions all over the San Francisco Bay Area and Northern California. Price: Please call 888-630-3866 for a quote. There are a few questions we need to ask (per our insurance company) to get you an accurate price.. Delivery is not included in this rough estimate. Please have your city and zip code ready for the best quote.